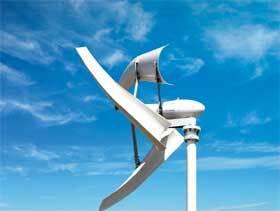 NheoWind 3D Small Wind Turbines Award-winning cutting-edge design from France, combined with manufacturing experience and synergy from China. Since june 5, 2012 Dongfang is appointed distributor for the brand Zhangzhou Nheolis, for Germany and Turkey. NHEOLIS is a developer and manufacturer of small wind turbines, based in France. focus on designing and manufacturing innovative small wind turbines. After several years of joint R&D with French State-owned Research Institutions), NHEOLIS revolutionized the energy world with its innovative, world-first 3D blade “Chistera” design. In 2009, NHEOLIS received the Gold EEP Award of the European Environmental Press for its excellence in environmental innovation. For 24 years we have been serving international large and medium-sized enterprises, as their consultants for numerous kinds of business with China. Product sourcing, company registration service, trading and marketing consulting have always been on demand. Since about two years, Europe’s industry is showing they have “arrived” in China. Localized services in the operational sector have become more relevant. Company credit investigations and reports, outbound investment evaluation, product certification, on-site quality inspection, quality management in general, documentation and human resources are the current main topics. In the day of web-based B2C and B2B online marketing and e-business, when there often is no personal contact between business partners at all, it becomes more important to see through the digital mist and know the strength or weakness of your contact. We do classical research in person, by phone, and we are excellently linked up in a professional information network. The usual way a customer finds us is by recommendation. Quality spreads by reputation. Challenges always come fresh, and we have maintained our original curiosity and enthusiasm enforced with two decades of experience and a lot of routine practice to cope with change. Please feel invited to meet us and learn about our services on the next few pages. We apologize for our strict rule of discretion not allowing specific work references to our customers.